Photo taken at night from the ferry. Crane lifting steel member of the superstructure. SF Transit Center construction from above. Worker waiting to bolt steel member onto structure. After the rain by the Lake. 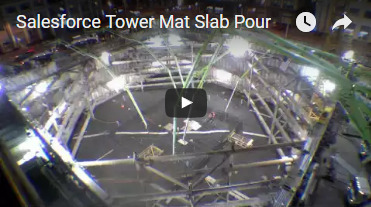 Concrete pour at night at the Salesforce Tower in SF.